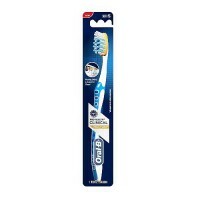 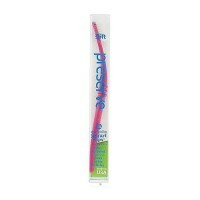 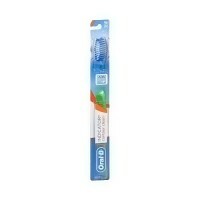 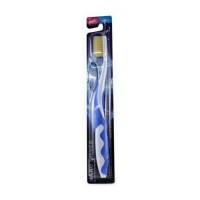 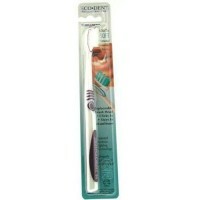 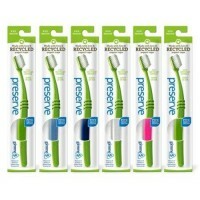 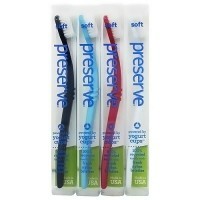 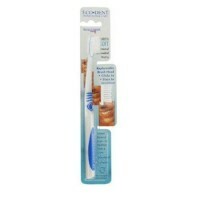 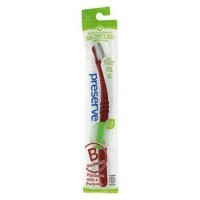 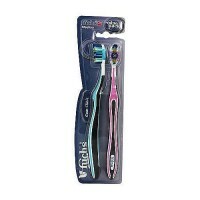 Oral-B Pulsar Toothbrush is a pressure sensitive split head and adjusts to the teeth. 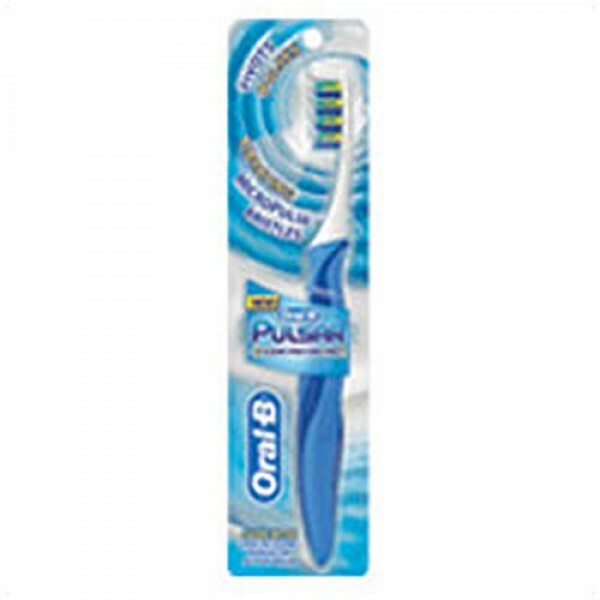 Oral-B Pulsar Toothbrushe is the only manual toothbrush with revolutionary MicroPulse bristles that independently pivot back and forth to penetrate deep between teeth, and gently pulse to lift up food and plaque and stimulate gums. 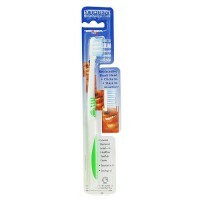 In addition, Pulsar has a pressure-sensitive split head that adjusts to the contours of your teeth to clean hard-to-reach places and moderate the amount of pressure applied to theeth and gums. 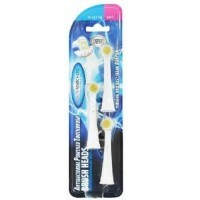 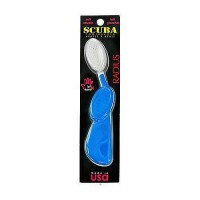 This helps Pulsar to provide an effective clean and an outstanding sensory experience. 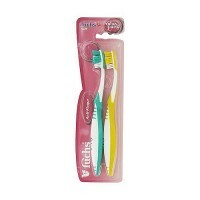 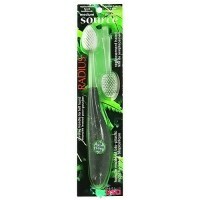 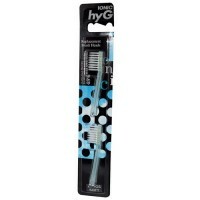 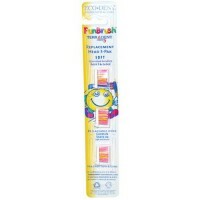 The brush handle can be split open to dispose of the battery. 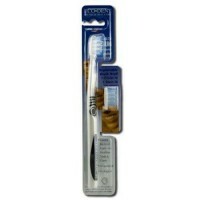 Once the battery component is removed, the brush will no longer function. 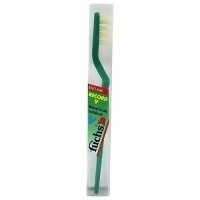 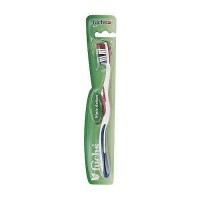 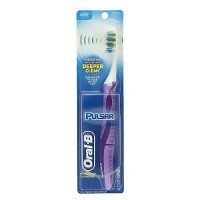 Brush with Pulsar as you would with a manual toothbrush.